Size of this preview: 800 × 532 pixels. Other resolution: 1,280 × 851 pixels. 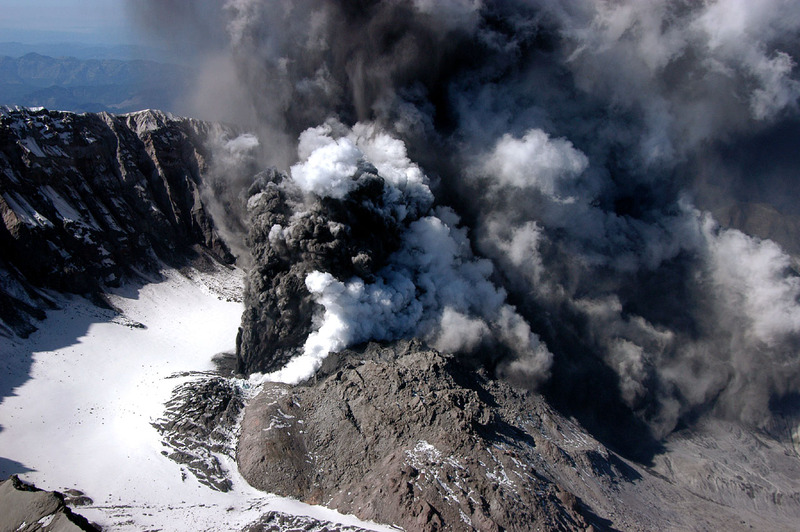 A small explosive eruption of Mount St. Helens on October 1; the first in more than a decade—followed a week of increasing earthquake activity beneath the volcano and deformation of the lava dome. This eruption sent a steam and minor ash plume to an altitude of about 10,000 feet above sea level.